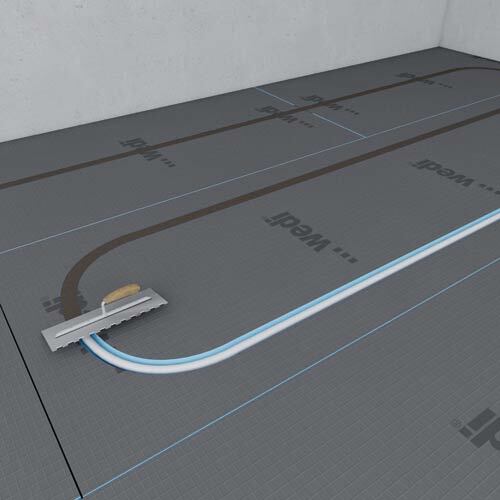 wedi building boards are also ideally suited for use beneath underfloor heating systems. The building boards' good insulation properties keep the heat away from the ground and reflect it back up in to the room, irrespective of whether you have a hot-water heating system or an electrical design. 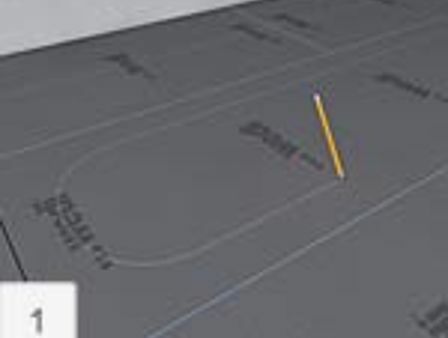 Step 1 Draw ducts/grooves onto the wedi building board for installation of the heating system. Step 2 Cut grooves using the router. 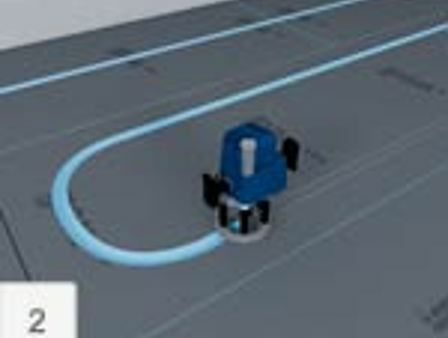 Cutting width should be the same as the pipe width; cutting depth should be at least 3 mm deeper. Step 3 Install tubing into the groove. Fill tile adhesive into the pipe duct. Step 4 Apply self-adhesive reinforcement tape 600mm onto the whole area. The tile dimension should not be less than 100 x 100 mm. 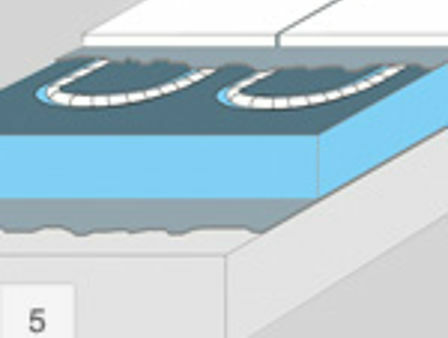 Hot-water systems For hot-water systems, ducts can be cut into the building board and other wedi elements quickly and easily. 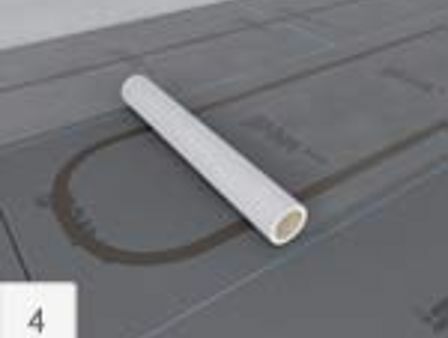 The building board serves as a combined form of heat insulation and a base for installation. 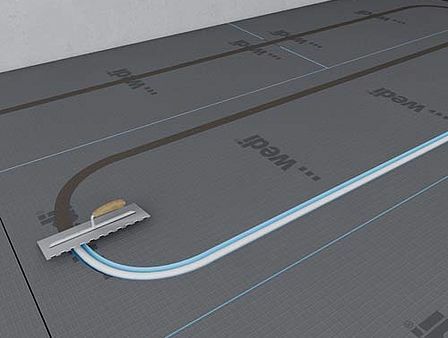 Electrical underfloor heating system Electrical underfloor heating systems are easy to mount on the building board and downward heat loss is prevented, making the heating system noticeably more effective. 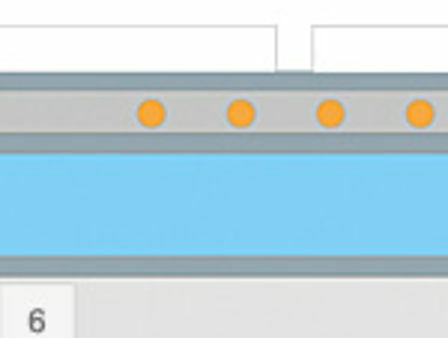 On elements which have already been tiled and reinforced (e.g. wedi building boards, Fundo floor elements, Sanoasa benches, Sanoasa loungers), floor heating can be installed in accordance with the manufacturer's instructions. Only approved heating systems may be used.